The 3-row crossover segment may not be the largest CUV category but it might be the most important. As consumers, aka parents, shop compact units because of the arrival of their first child, and possibly second, those with two and possibly three might find it necessary to take it up a notch size-wise. The step from Honda CR-V to Pilot, from Toyota RAV4 to Highlander or, in this scenario, from Mazda CX-5 to CX-9 and Subaru Forester to Ascent, can be a comforting move within a brand especially if the parents were happy with the smaller utility vehicle, they are trading in. 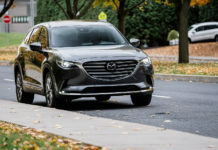 Should You Buy a 2019 Mazda CX-9? What’s more, these midsize-large 3-row family-do-everything vehicles are evolving from energy-craved boxes on wheels to elegant and frugal modes of family transportation. Two of our favorites members of the segment also happen to be two of the most advanced one can buy today. Despite the wildly varying approach to design and all-out utility between the Mazda CX-9 and Subaru Ascent, they are far more familiar than meets the eye. 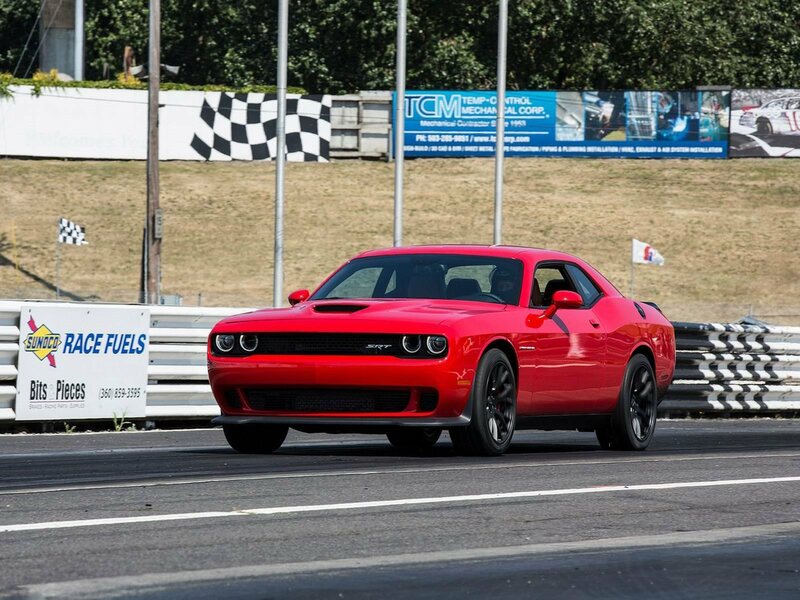 This is because both rely on a turbocharged 4-cylinder engine instead of the more typical V6. 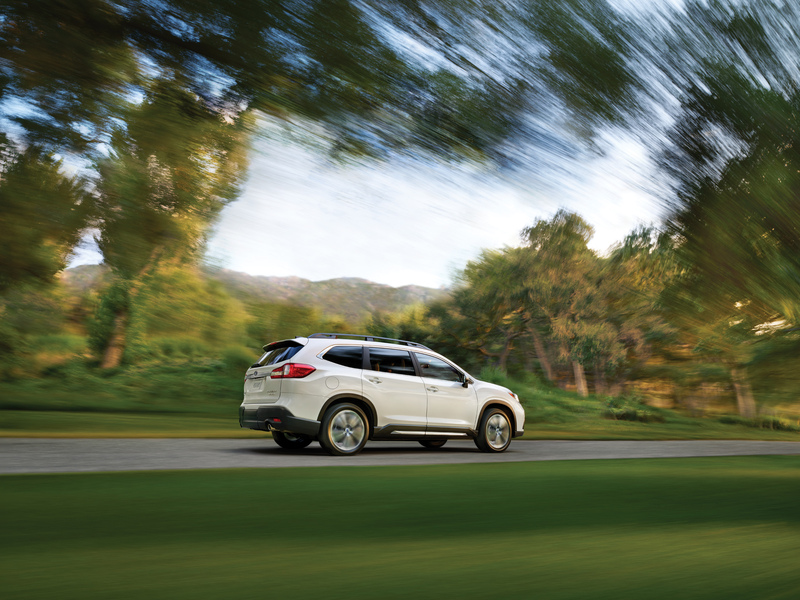 The Ascent’s 2.4-litre unit provides 260-horsepower and 277 lb.-ft. of torque from 2,000 rpm. By default, the Subaru is AWD and features a high-torque Lineartronic Continuously Variable Transmission, or CVT. The CX-9 depends on a 2.5-litre unit generates 227-horsepower (250 on 93-octane fuel) and 310 lb.-ft. of torque from 2,000 rpm. Mazda’s i-ACTIV AWD is optional on the base GS, standard on all other trims as is a SKYACTIV-Drive 6-speed automatic transmission. Both engines produce immense torque at low rpms as you can see however the Mazda suffers from an unusual amount of torque-steer for an AWD vehicle. Despite being down on torque, the Subaru does not feel slower off the line or less lively. 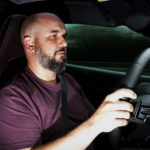 Its biggest shortcoming is the CVT that drones endlessly under mild acceleration, especially when the powertrain’s optimal operating temperature has yet to be reached. The Mazda’s 6-speed auto is crisp and effective, by comparison. 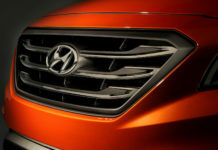 Once the CVT warms up, it is seamless and smooth. 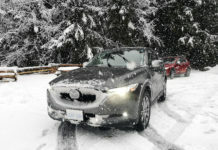 Both AWD systems are proficient – don’t think that Subaru’s AWD is better as Mazda’s i-ACTIV technology is impressive. The main difference between the two is overall refinement. 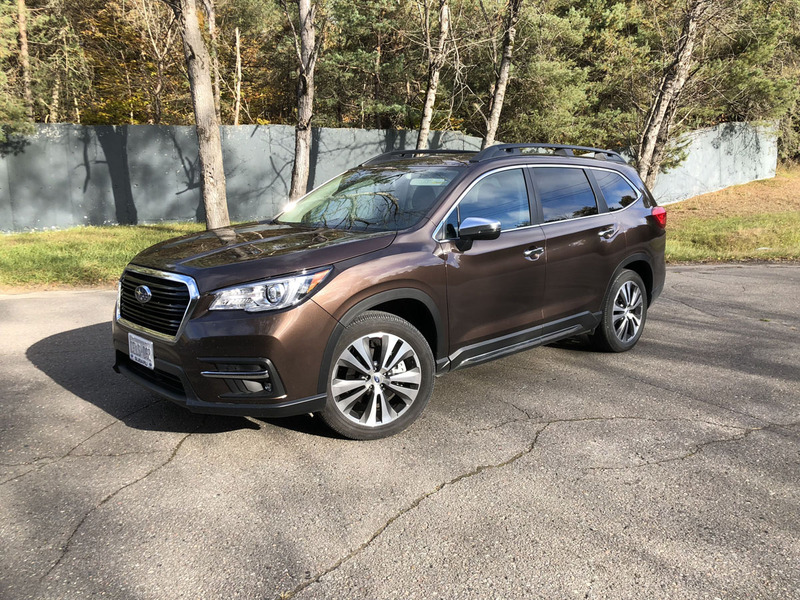 As comfortable, quiet and good to drive the CX-9 may be, the Subaru Ascent’s plush, isolated and uber-solid ride is irresistible. The entire time I had the car, I was constantly taken aback by the cocoon-like demeanor of the Subaru. In fact, of all the “trucks” in its group, it is the smoothest. This is an easy one. 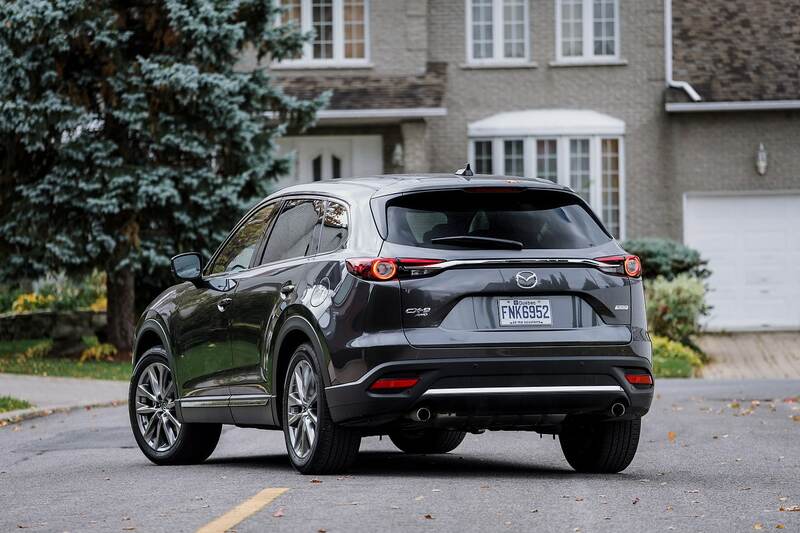 According to Mazda, the CX-9 AWD consumes 11.6/9.1 L/100 km highway/city. 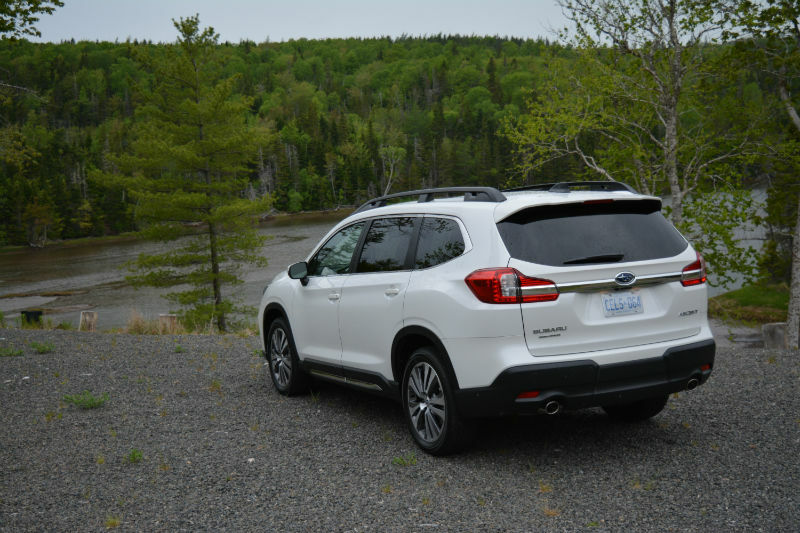 According to Subaru, the Ascent ingests 11.6/9.0 L/100 km highway/city. In other words, both vehicles consume an identical amount of fuel, based on the information available on the manufacturers’ websites. In the real world, I averaged just under 12L/100km with the CX-9, just over 12L/100km with the Ascent. The difference can be explained by the snow on the ground while I had the Subaru as a test car. Both vehicles offer generous amounts of room in every respect. 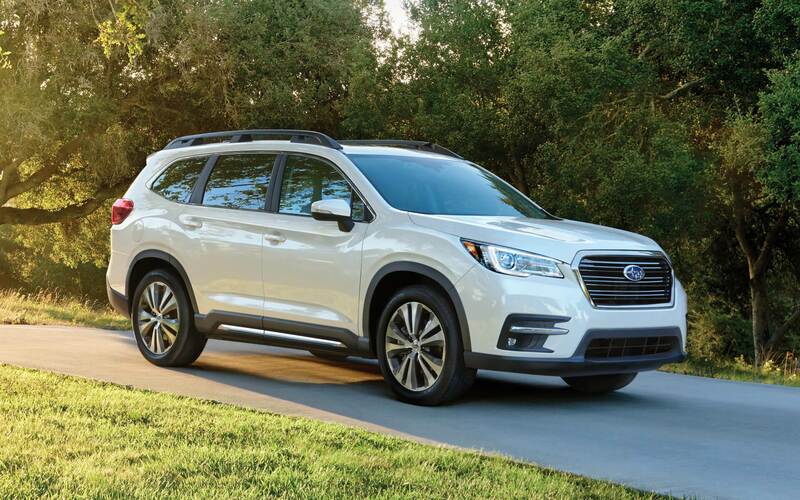 The Subaru Ascent however makes far better use of the available interior volume. The dissimilarity is in the approach; allow me to explain. The Subaru is boxier in design. This enables the booth behind the 3rd row to be more than 20% larger than the Mazda. Same goes for behind the 2nd row. The Ascent’s cabin is more upright, feels airier and more accessible. The Mazda, on the other hand, is more luxurious, more ensconcing. The dashboard is busier, but prettier. The materials seem more upscale and assembled with greater care. 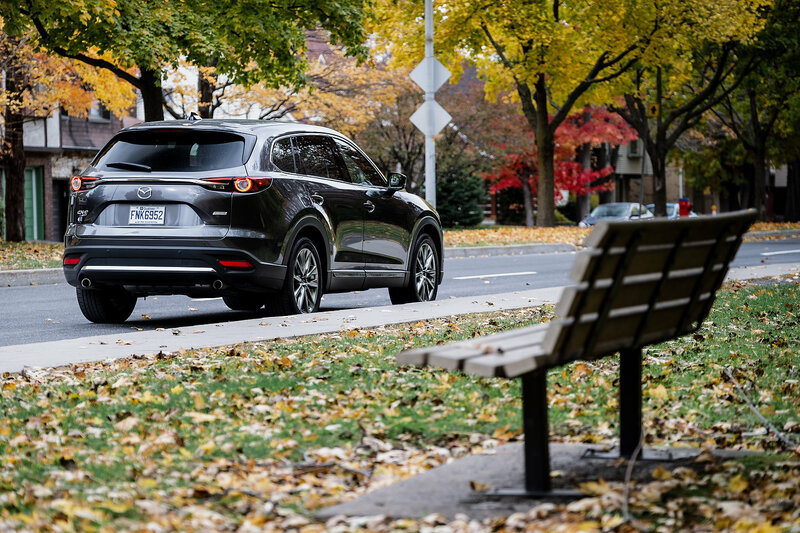 The CX-9’s exterior shape has an impact on the available space as evidenced by its longer wheelbase and overall length, and tighter interior quarters. Seats are comfortable and large in both vehicles. If interior space and utility are a prime reason for getting one of these vehicles, there’s but one answer. 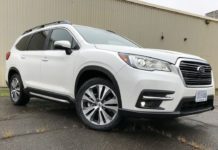 If we’re to base this portion on suggested retail pricing alone, the AWD 2019 Subaru Ascent Convenience’s $35,995 base price is far more appealing than the AWD 2019 Mazda CX-9 GS’ $40,000 sticker price. Equipment-wise, both base trucks include essentially the same features. If one has an extra safety item, the other has a larger screen and so on. Mazda then counters the $4,000 difference in pricing with far more aggressive financing and leasing incentives. As such, on a monthly basis, the Mazda CX-9 turns out to be more affordable but value-wise, the Subaru’s a better deal. 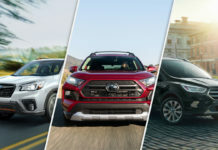 Resale values are typically average for both OEMs however given that the Ascent is completely new, and a first large SUV for Subaru, we’ve no idea how hard, or not, depreciation will hit it. As the result is not obvious here, best to shop both and negotiate. In my personal experience, you’re likely to leave with a better deal at Mazda. 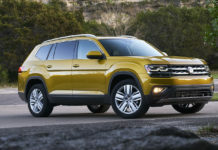 In this segment, we at Motor Illustrated like the following candidates: Volkswagen Atlas, Dodge Durango and the two members of this comparison. The reasons for including the first two players diverge intensely and while the Honda Pilot and Toyota Highlander are not enumerated (were not…), they’re still valid choices. 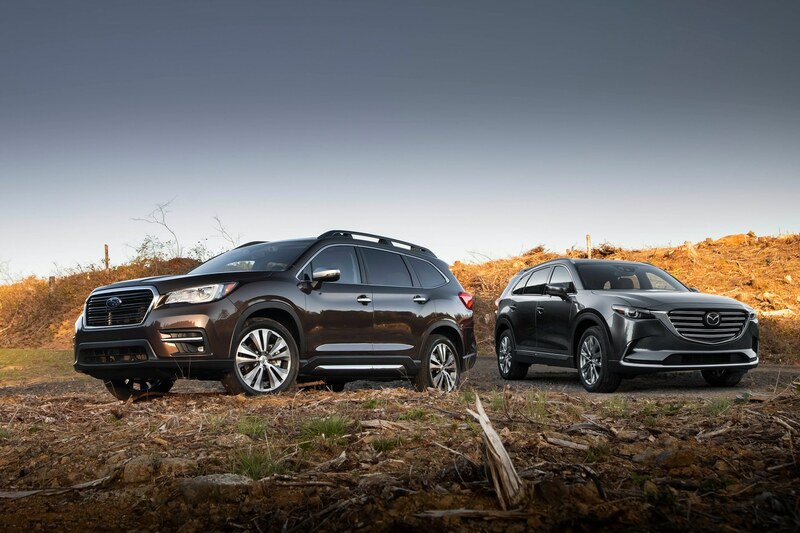 The Subaru Ascent and Mazda CX-9 bring flair, technology and alternative powertrains that puts them both at the top of our shopping list. However, there can be only one winner, and we’re struggling somewhat to point it out.